Want to go backpacking in Europe? 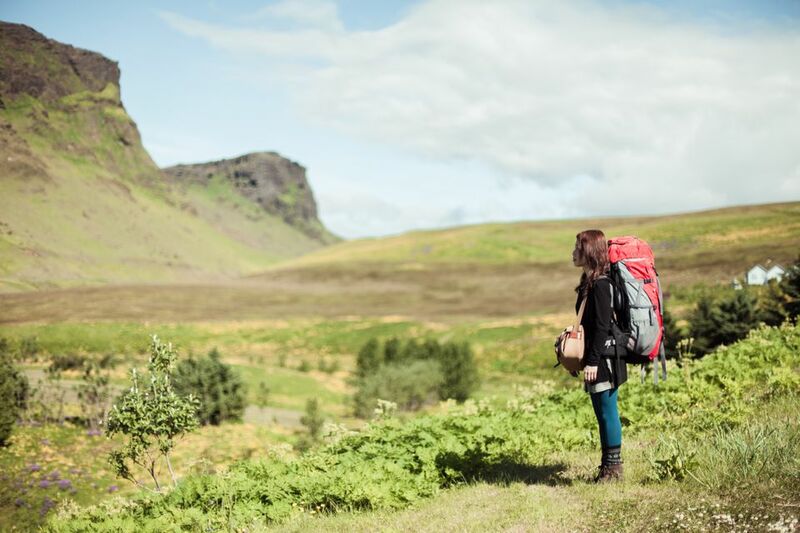 Welcome to the FAQ you need for travel on a hiking boot string, designed to answer key questions before you go backpacking in Europe -- what to pack, where to go, budgeting, how to get there, where to stay and how to backpack Europe on the cheap. What Gear Do I Need for Traveling Around Europe? Your first step is to decide on which backpack to take with you, and -- not to panic you! -- this is one of the most important choices you'll make in the planning stages. Pick the wrong backpack and you'll end up suffering from back pain and wondering why it always takes you fifteen times longer to pack your bags than everyone else. I personally recommend the Osprey Farpoint 70 backpack, which I've written an in-depth review of here -- it's been my main backpack for three years of full-time travel and I couldn't be happier with it. When you're looking for a backpack, you'll want to go for as small a size as you can possibly manage. If you buy a 90-liter backpack, you'll fill it to the brim because you have that extra space to use. I recommend buying a pack that's 70 liters or less. Additionally, I recommend picking up a front-loading backpack, because it makes packing and unpacking hundreds of times easier and faster. Finally, be sure to scout out reviews online before making your final commitment. If your chosen backpack receives great reviews from travelers, you know you won't go wrong. Next, it's time to start thinking about what you want to fill your backpack with. Take a look at a packing list for travel in Europe. Most importantly, remember that 95% of the thing you want to take with you can be easily bought abroad. You can actually survive very easily with just a passport, some money, and a few changes of clothes. Everything else is just to increase your comfort levels. How Much Does it Cost to Backpack Europe on a Budget? Backpacker on a shoestring? If you'll be staying in dorm rooms, eating street food, and skipping the expensive attractions, budget $50 a day in Western Europe and $20 a day in Eastern Europe. Flashpacker? If you'll be staying in private rooms in hostels, splurging on the occasional fancy meal, and taking tours, budget $80 a day in Western Europe and $40 in Eastern Europe. Backpacker traveling as part of a couple? If you'll be staying in budget hotels or affordable Airbnb apartments, eating out for many of your meals, and doing any activities that take your fancy, budget $100/day for Western Europe and $50/day for Eastern Europe. Remember that these are averages and the total amount you'll end up spending depends on the countries you'll be hitting up. If you're a backpacker, you'll find that $50/day is too much for somewhere like Spain but too little for somewhere like Norway. Choose Eastern Europe (Prague, Budapest, Sarajevo) for dirt-cheap excitement. London is spendy and friendly. Rome is cheapish, crime-challenged and huge fun. Paris is relaxed and affordable. Laid-back Amsterdam is totally packed. Brussels rocks cheap. Germany can be staid or mind-blowing. You can always choose an event, like a hot summer music festival, or a place you want to see, like the Louvre, and plan your trip around it. Go to 17 countries on one rail pass if you can't decide. To fly to Europe without breaking your budget, choose a student airfare finder for the best deal -- student travel agencies offer the best student airfares. Check ticket prices against an aggregator to be sure and watch for student airfare sales. Norwegian Air and WOW Air sometimes have flights across the Atlantic for as little as $100 each way. Use Eurail passes or cheap European airlines to move around Europe quickly and affordably. To get around in-country, subways and local buses are generally very cheap and safe. Taking taxis or an Uber is great for those times when you're lost or can't figure out the local transportation. But What About All of Those Languages? Speaking the language, even a few words, will save you money and headaches while you're backpacking in Europe. You'll be able to figure out what cab fare should be, how to find the bus and train station and the hostel, and how to make a phone call. Google Translate works for anything you could need to know, so be sure to either pick up a local SIM card when you arrive in the country or download the Google Translate app, which works offline. The easiest way? Stay in hostels. They're fun, affordable, usually central, clean enough if you know what to expect, and packed with other backpackers doing exactly the same as you are, surprisingly few of whom are American. Reserve in advance if you can, as the well-rated hostels do get booked out, especially during peak summer months. You can also go Couchsurfing for free if money is especially tight. In order to backpack around Europe, you'll want to make sure that you have a few documents arranged in advance. The main one is obviously your passport. Don't have yours yet? Find out how to rush your passport application. If you'll be heading to Europe as part of a round-the-world trip, you'll want to carry your Yellow Fever card if you'll be visiting countries where the disease is prevalent. The card proves that you've been vaccinated against yellow fever, and you'll need to show it whenever you leave a country that has the disease. If you'll be traveling within the Schengen Zone while you're in Europe, you don't need to worry about applying for a visa in advance. You receive 90 days of travel within the EU on arrival as a United States citizen. For countries in Eastern Europe and Scandinavia, for the most part, you'll receive a visa on arrival so won't need to apply for anything in advance. The only exceptions are Belarus and Russia. Finally, you'll want to take a look at grabbing an ISIC card before you leave. It'll entitle you to all sorts of student discounts as you backpack Europe -- we're talking discounts on meals, transport, flights, activities, and more! If you've never left the United States before, travel can seem like a daunting prospect. If you're heading to Europe, though, there's no need to panic -- it's just as safe there as it is at home. All you need to do is take a few extra precautions, but other than that, behave how you would at home and you'll be just fine. It's worth reading up on bed bugs before you leave so that you know what to do if you happen to come up against them, but keep in mind that they're extremely rare. I've backpacked through thirty countries in Europe and only suffered their itchy bites once. Scams are common in major European cities, so take a read of my article on how to avoid them. For the most part, if you dress like the locals, don't look lost, and stay wary of anyone who seems overly-friendly and approaches you for no real reason, you'll be fine. Hostels are actually surprisingly safe -- I've been known to head out for a day of exploring while leaving my laptop on the bed and nothing has ever happened. I always explain it as a kind of community -- backpackers are always looking out for each other. Still, there are definite precautions that you should take.